There are only eight games left for the Championship’s top sides to press for promotion. That leaves only eight more chances for the league’s leading scorers to press for the golden boot. Teemu Pukki currently leads the way, but he’s by no means assured of topping the scoring charts when the league wraps up in May. We’ll be looking at each match for the rest of the campaign in our Championship betting previews, seeing how each forward gets on week by week. We can see a couple of real challengers to Pukki at the top of the standings. This seems to be the perfect time to run through the top scorer contenders, as we prepare for the final stretch of the season. You can already see our review of the current Championship promotion race, along with the latest odds in the relegation scrap. Here we’re analysing the latest betting odds for the top scorer market in the Championship and looking at the best-priced contenders to take the golden boot. The Norwich forward has fired his side towards the Premier League, racking up 24 goals in their promotion push. That tally has set him apart from the rest of the league’s sharpshooters, while it has made him the clear favourite to take the Championship’s golden boot this term. Pukki has been cut to 4/6 with bet365 to finish top of the scoring charts, which seems short given that there’s another eight matches to play, with the Finnish striker needing to boost his form. Pukki may have scored 24 times this season, but he’s failed to find the net in their last three games. He’s featured against Swansea, Hull and Rotherham without scoring. 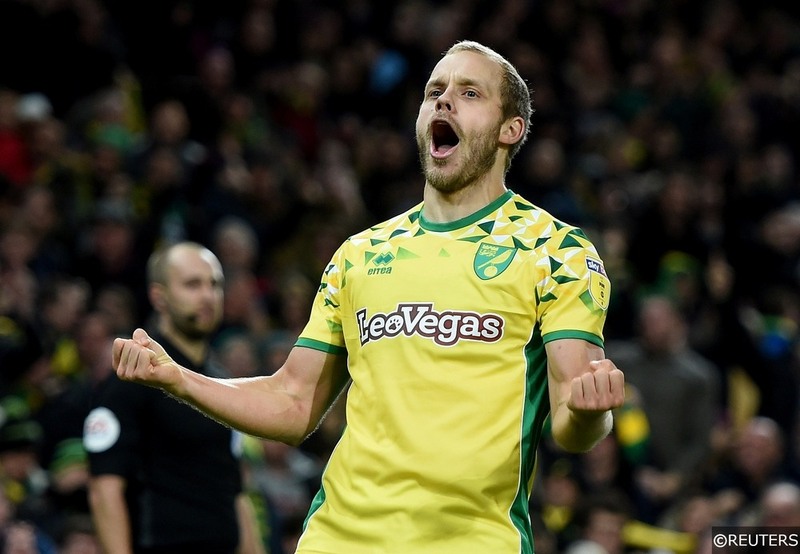 His side are under pressure to land promotion, so Pukki’s golden boot bid isn’t going to be the most important thing for Daniel Farke’s men over the coming weeks. While we expect Norwich to make the Premier League, we can see their frontman being edged out in the scoring stakes. Sheffield United are rivalling Norwich for promotion, while their forward Billy Sharp is trying to dethrone Pukki. The poacher is a prolific threat at this level who is thriving in an attacking side. The Blades are into second, with promotion on the cards for them. We’ve looked at their chances of making the Premier League, but can Sharp fire them to the top flight? Like Pukki, he’s coming up short just as the season hits a crucial stage. 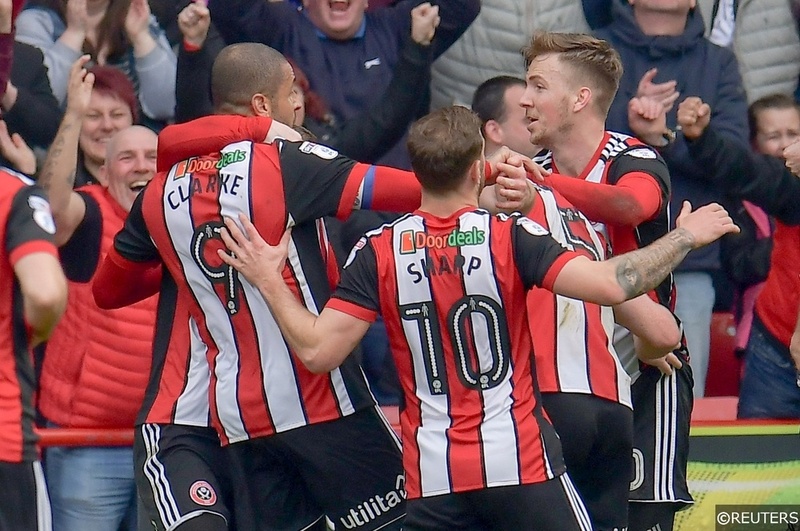 The Blades have won six of their last seven matches, but Sharp hasn’t found the net in any of them. The forward has gone off the boil, with little time left to turn things around. He comes into the final eight games off form, which doesn’t suggest that he’s likely to overtake Pukki. There are better options out there, especially with Sharp priced up at 4/1 with William Hill. 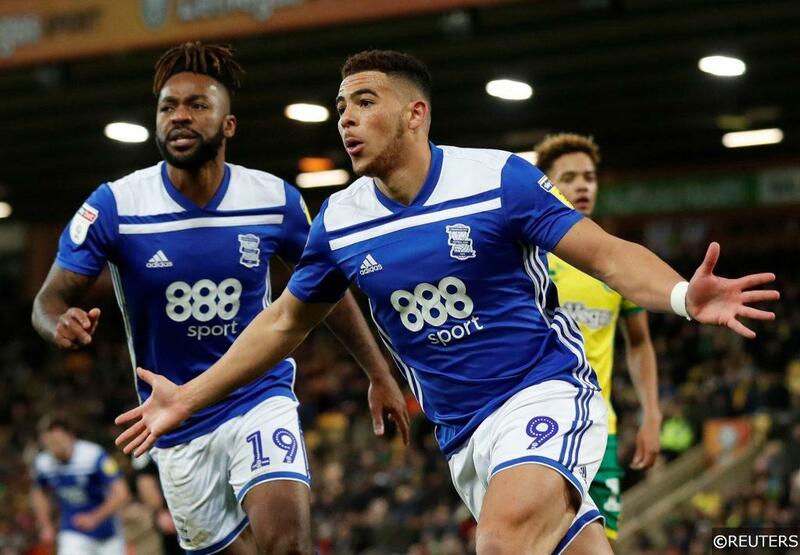 Birmingham’s playoff push is stumbling, as are Che Adams’ hopes of taking the golden boot. Birmingham are sliding down the standings, while Adams has posted a solid total of 21 goals this term. The forward is an emerging talent, with the 22-year-old crossing into double figures for the first time in his career. However, Adams is another who has been having issues lately. The forward has failed to score in five games, which has seen Birmingham plummet. He has scored in patches this season, which makes him hard to back to top the scoring charts, especially with his side facing little to play for. Adams was linked with a move in January, so his focus could be pulled by a summer move. That puts us off backing him, despite his price of 10/1 with BetVictor. 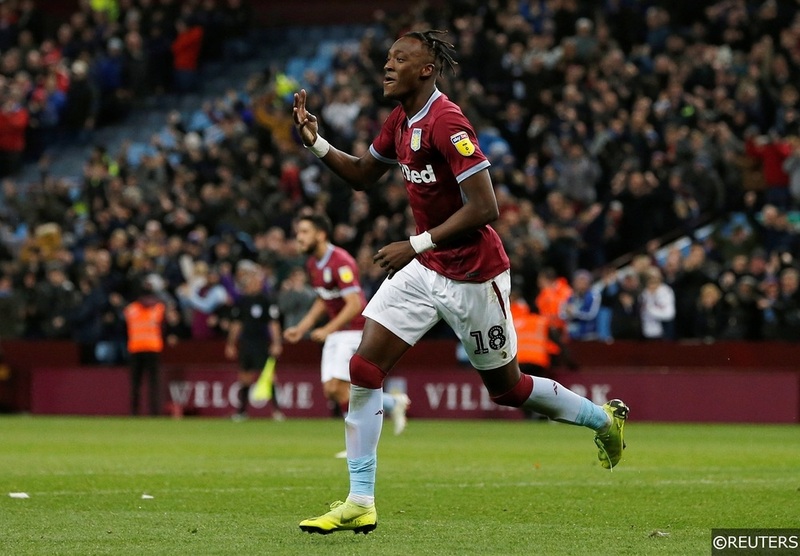 While Birmingham are fading in their push for sixth, across the city Aston Villa are thriving. The Villains are into the top six, with their 3-0 win over Middlesbrough at the weekend pushing them into the playoff frame. That victory was the latest success since Jack Grealish returned to the side. However, will his return help Tammy Abraham continue a fantastic season on loan from Chelsea? He’s being helped by Villa’s return to form, which has brought four wins and 11 goals. Abraham has scored just once in that run, but that’s likely to pick up. The Villains are creating plenty of chances, so the clinical forward should add to his tally of 21 goals. With his side in great scoring form and pushing for the top six, Abraham is a tempting bet at 7/1 with Betfred. 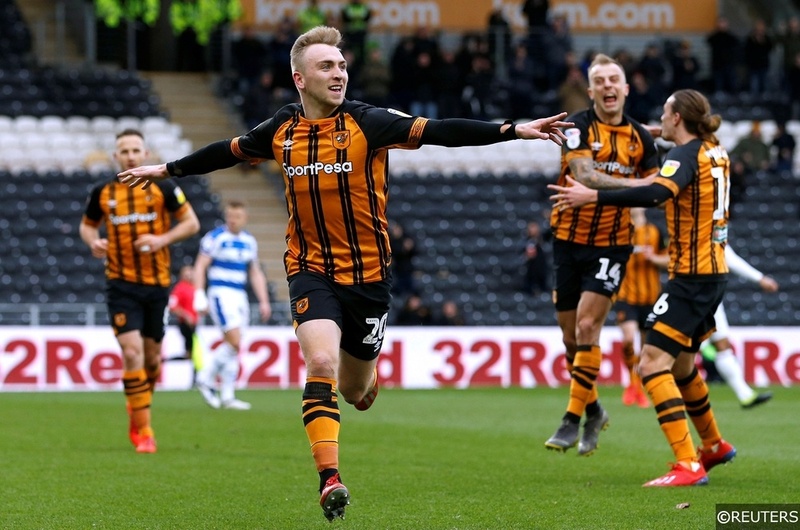 While many of the leading contenders are out of form, Hull City’s Jarod Bowen has launched himself into contention. The forward is the only player in the top five who managed to score at the weekend. His brace against QPR earned his team a 2-2 draw. However, it also pushed Bowen to within three goals of top spot. That’s still quite a gap, but if he hits form he could catch Pukki before the end of the season. Given his form, Bowen certainly is a contender. The bookies are paying out each-way on the second placed player in the scoring charts. Bowen sits just a goal short of equalling Sharp’s tally. Given that he’s in the best form of any of the top five, he’s a great outside pick for the Golden Boot. He’s priced up at 16/1 with bet365, who are paying out each-way at 1/3. With just weeks left to go, Bowen could be set for a great finish to the campaign. Categories: Betting Odds, Blog, and Football. Tags: championship, Championship football, Championship promotion, championship season, Championship top scorer, and English Championship. Team Tag: aston villa, birmingham, brentford, norwich city, and sheffield united. League: England Championship. Sports: Football.